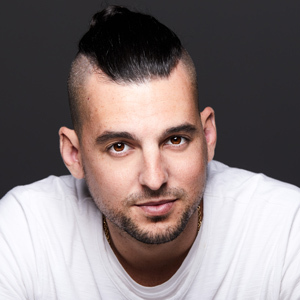 Justin Lefkovitch is the Founder and CEO of Mirrored Media, one of the entertainment industry’s most influential experiential marketing agencies. Justin founded Mirrored Media with the core understanding that the relationship between the entertainment and marketing industries is unique; one that struggles at times due to industry language barriers, intimidating cultural nuisances, and different objectives. Justin is an entrepreneur who took his vision and created a team in Santa Monica composed of experienced entertainment and marketing industry alums. His experience allows him to truly create a company and culture that bridges the gap between music, technology, influencers, art, and fashion. He has curated some of the most successful campaigns, and his work has been recognized for its creativity and transformational results by Forbes, EventMarketer, Chief Marketer, Inc., AdWeek, LA Business Journal, Huffington Post, and the Summit International Creative Awards. Justin has been named one of Los Angeles Business Journal’s “Top Twenty in Their 20s”, Cablefax’s “Overachievers Under 30”, and The Apex Society’s “Power 30 under 30”, while leading Mirrored Media in winning consecutive EventMarketer’s Top 100 agencies “It List”, Chief Marketers “Top 100 Promotion Marketing Agencies”, Summit Creative Awards Experiential Winner, Inc. 5000 Fastest Growing Companies in America, Summit Emerging Media Award, MarCom awards, Summit Marketing Effectiveness Awards, Ava Digital Media Awards, PR Daily Content Marketing Awards, OMMA Awards, and more. Justin is also heavily involved in philanthropy, including sitting on the board of directors for Project Survival Cat Haven. Where You Can Access Me Live! Discuss The Latest in News and Pop-Culture. The Most Direct Way to Reach Me. All My Life’s Best Moments. Connect and Share With Me.